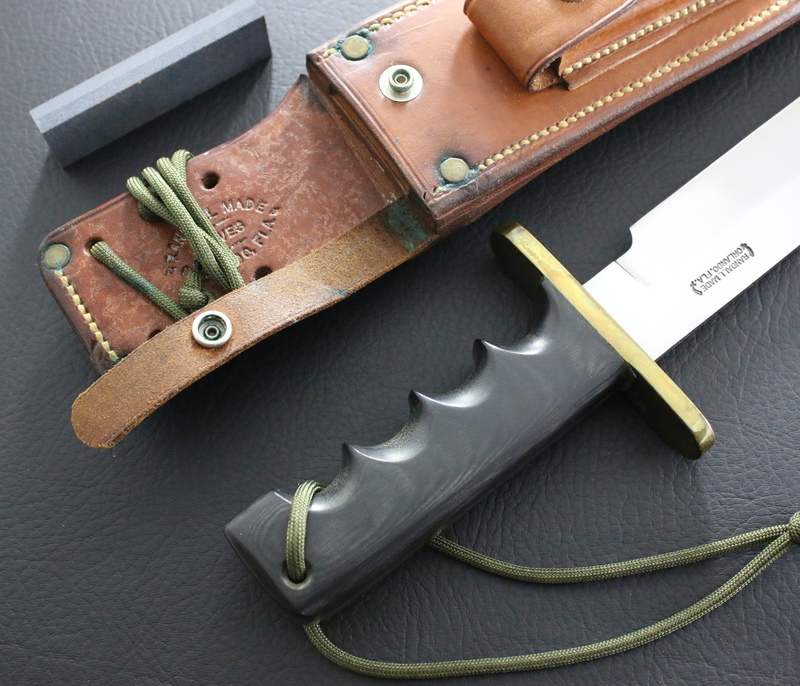 Condition – Excellent / unused. 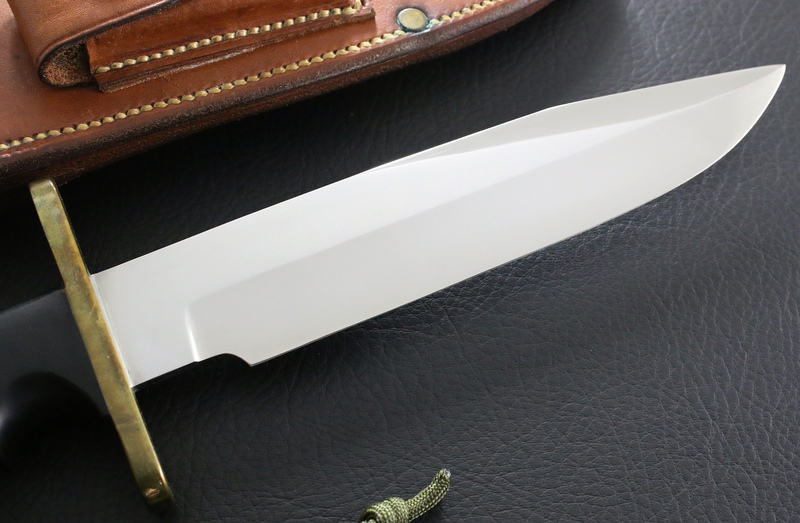 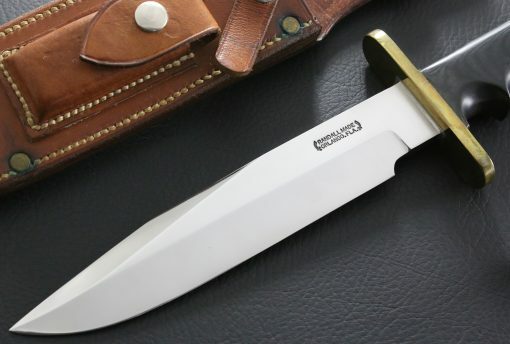 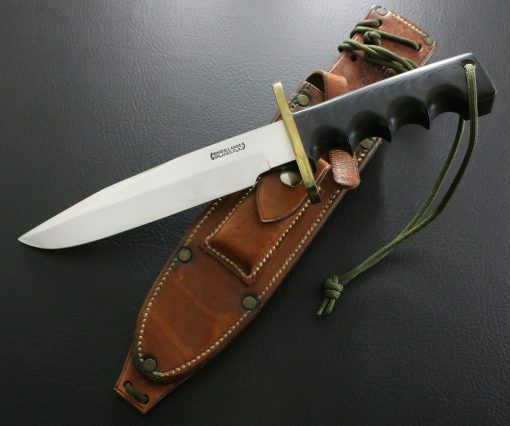 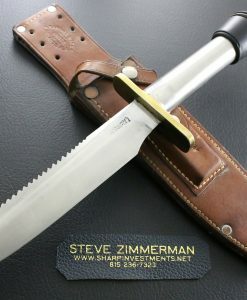 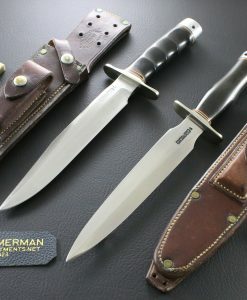 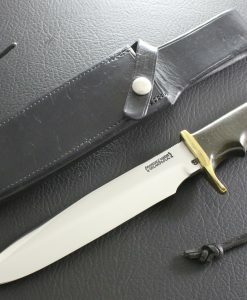 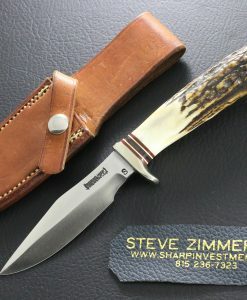 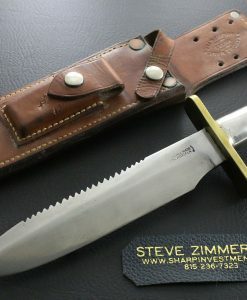 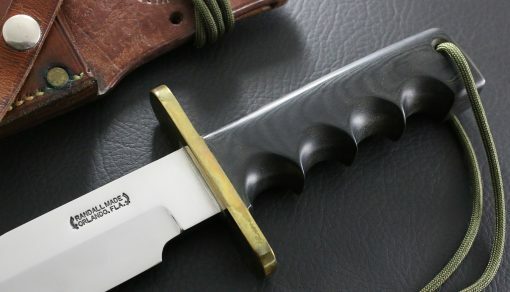 Blade – 7 1/2″ carbon steel, original Randall grind and finish. 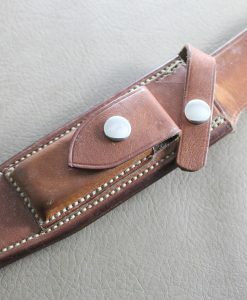 Very faint sheath insertion scratches. 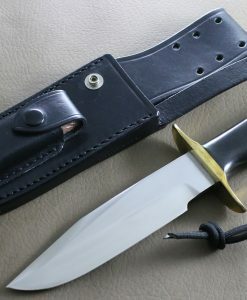 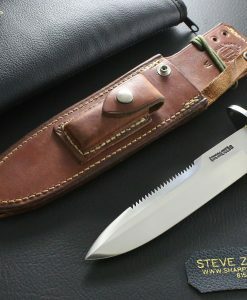 Handle – black micarta with un-lined wrist thong hole. 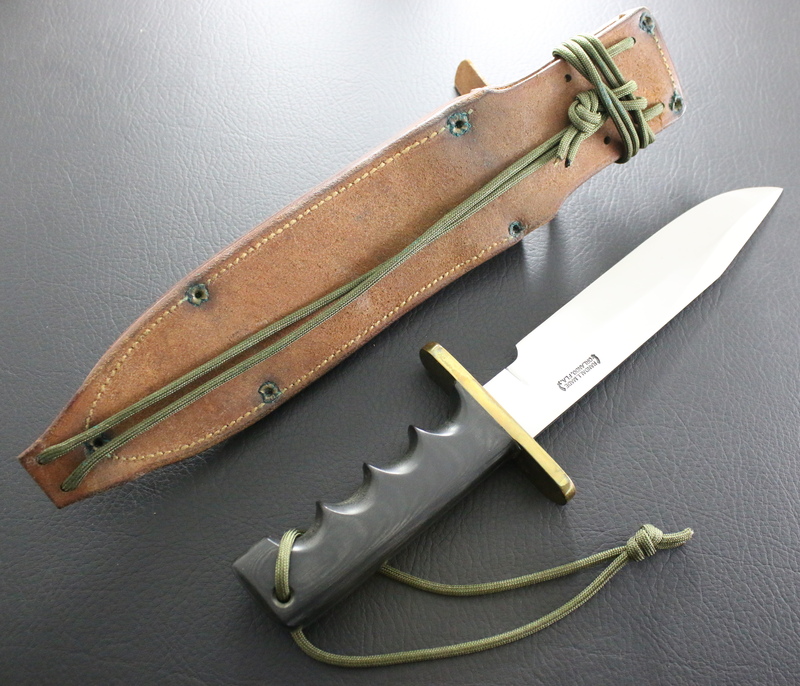 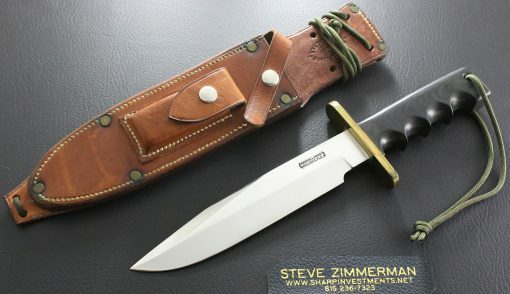 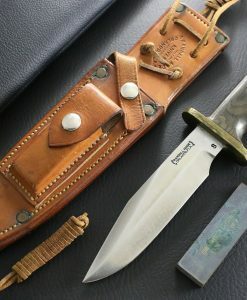 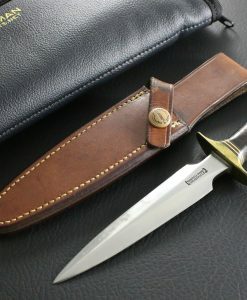 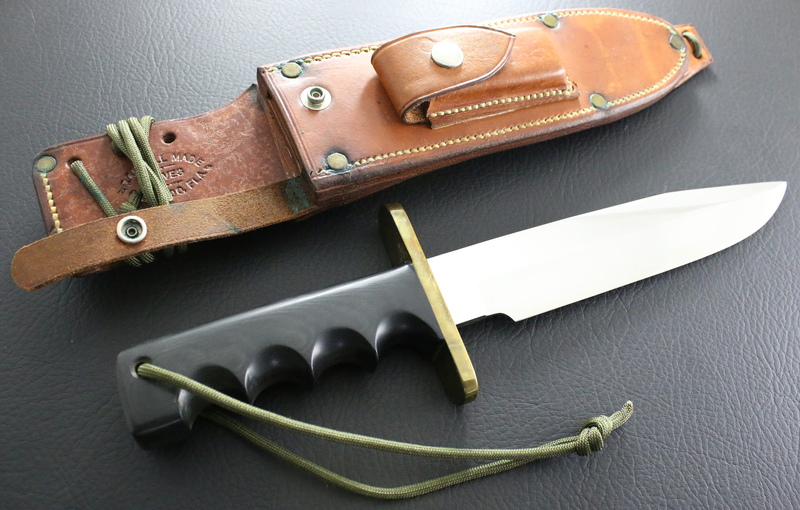 Sheath – Johnson roughback Model “C” with original ties. 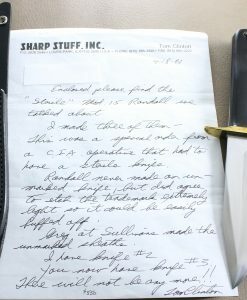 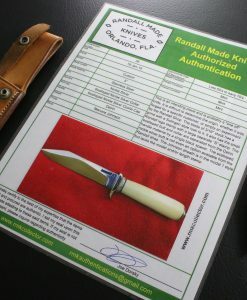 SOLD – Randall Model # 15 sterile with hand written letter from Tom Clinton.